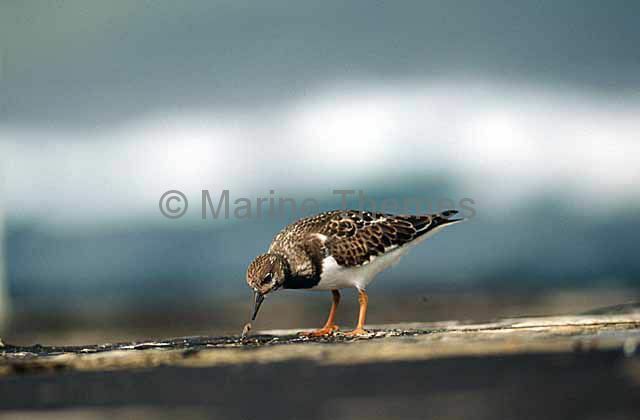 Ruddy Turnstone (Arenaria interpres) feeding on beach worm. 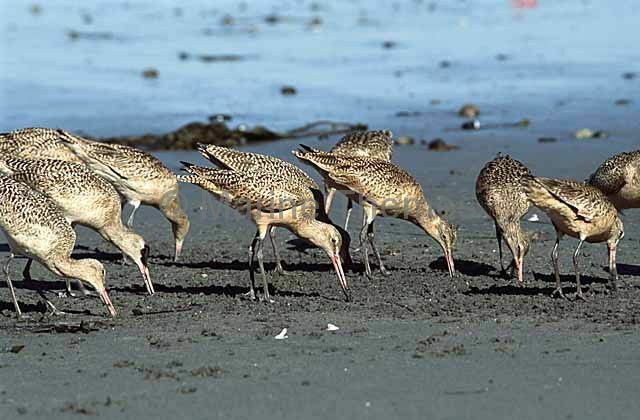 Marbled Godwit (Limosa fedoa) feeding on California Grunion (Leuresthes tenuis) eggs. 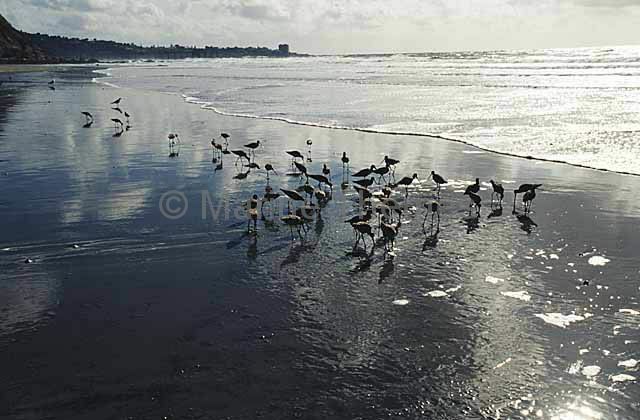 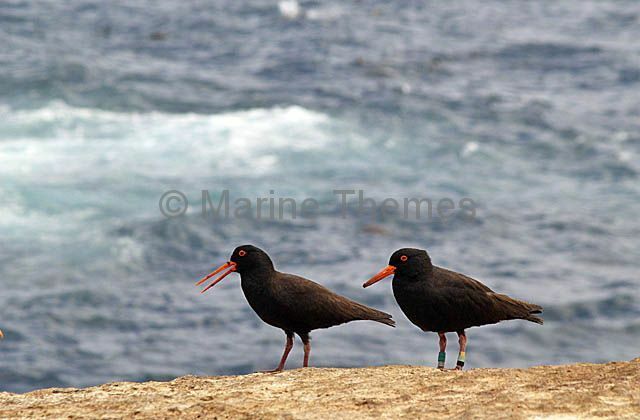 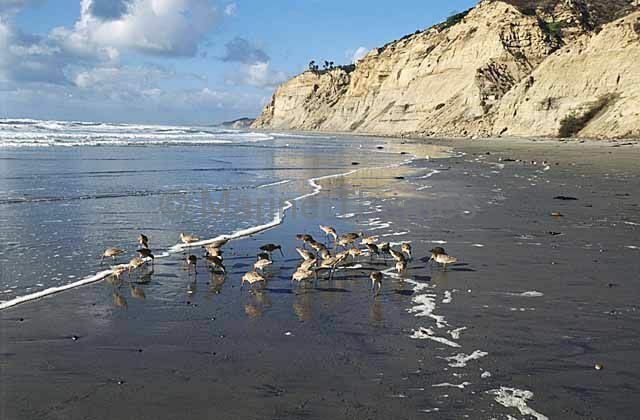 Sooty Oystercatchers (Haematopus fuliginosus) foraging along rocky sea shore. 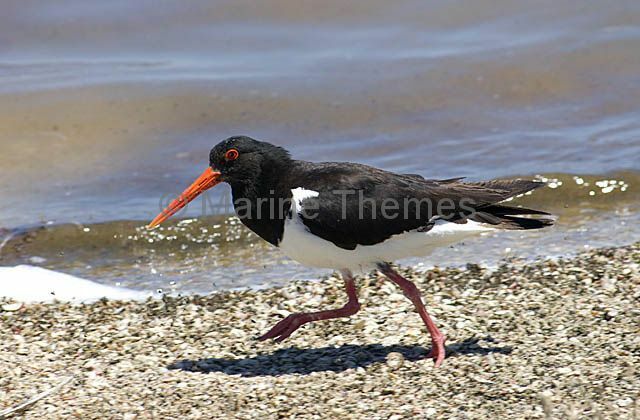 Pied Oystercatcher (Haematopus longirostris) foraging along shoreline. 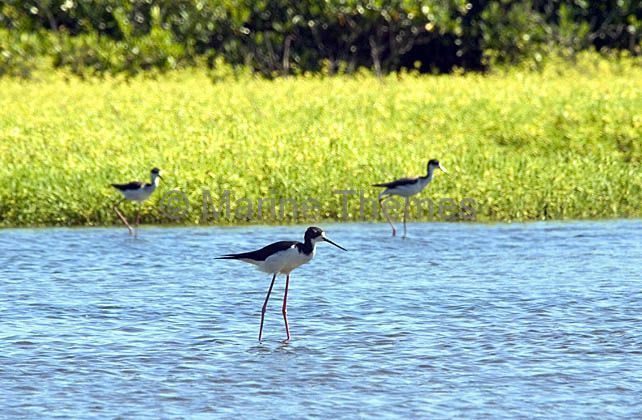 Hawaiian Stilt (Himantopus mexicanus knudseni) Endangered and endemic species to Hawaii. 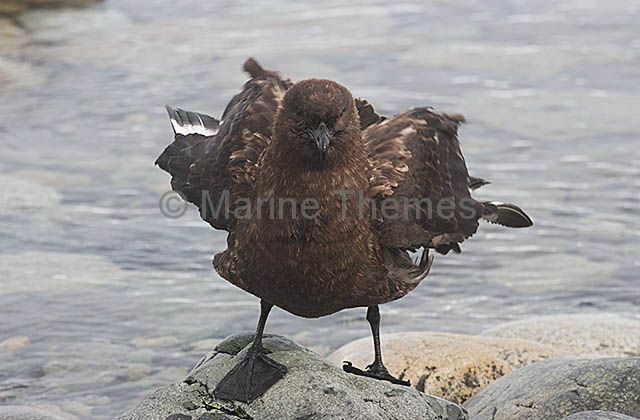 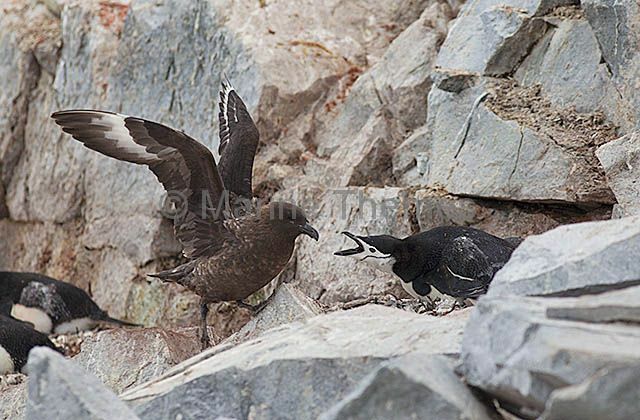 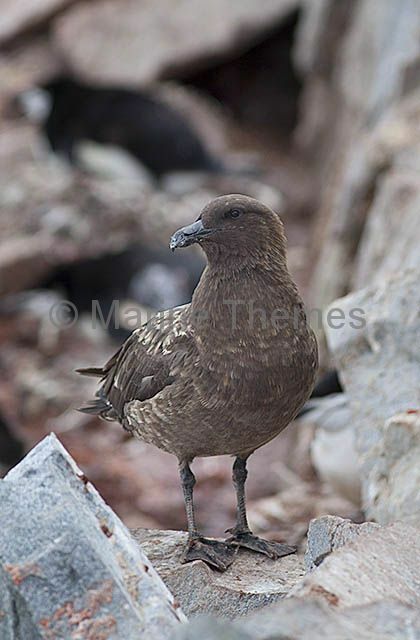 Chinstrap Penguin (Pygoscelis antarctica) fighting off Great Skua (Stercorarius skua) who is attempting to take egg. 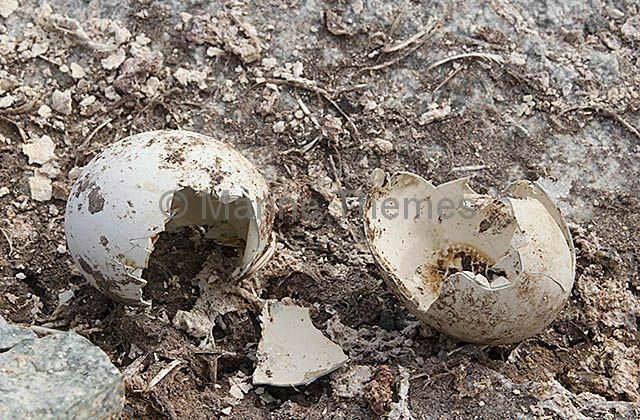 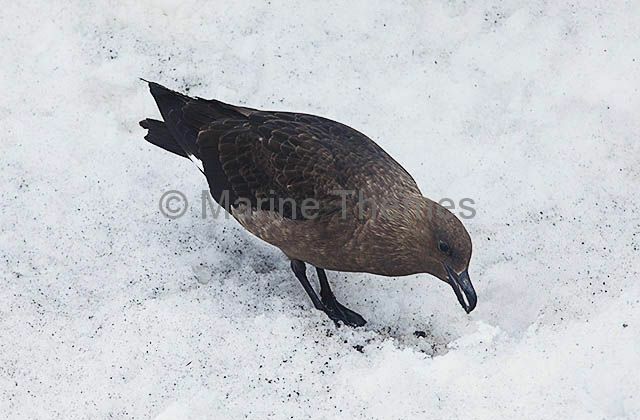 Adelie Penguin (Pygoscelis adeliae) eggs eaten by Skua gulls. 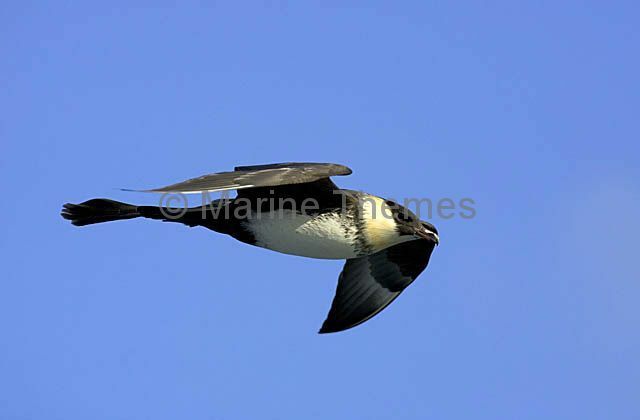 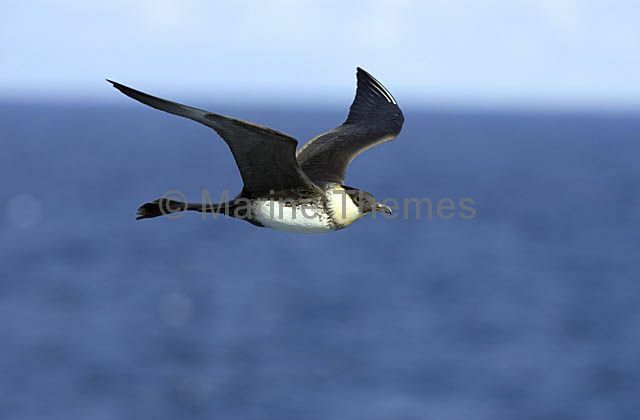 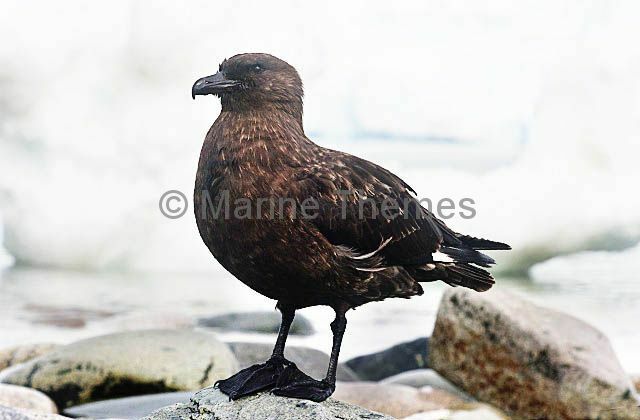 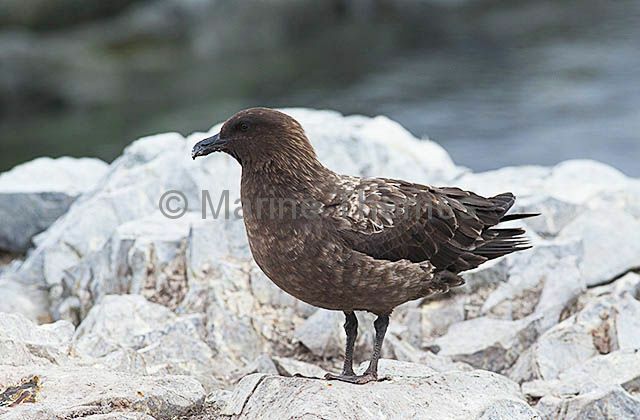 Pomarine Skua (Stercorarius pomarinus) in flight. 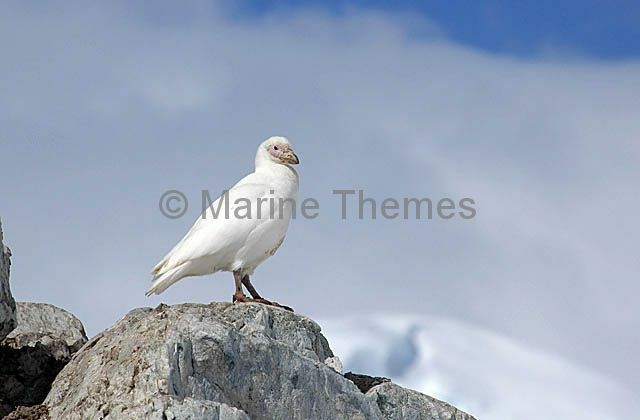 Snowy Sheathbill (Chionis alba) Predator of eggs and chicks in penguin rookeries. 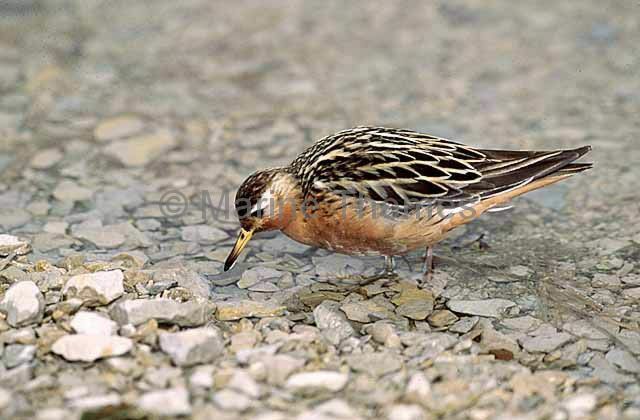 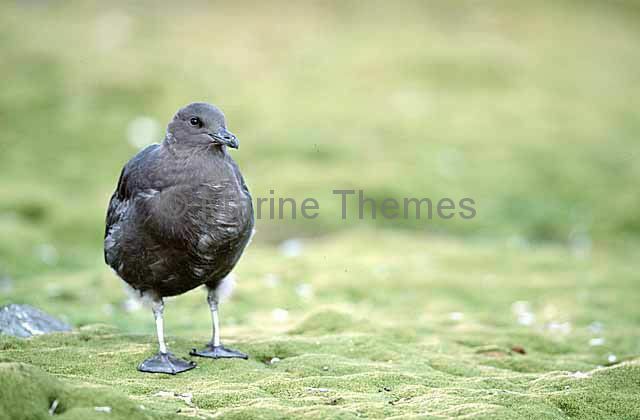 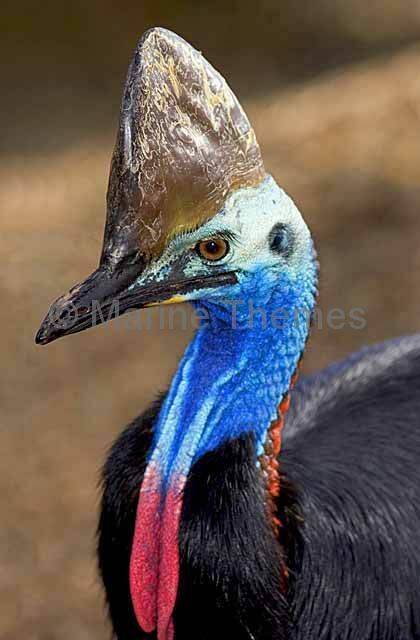 Not being web-footed, it cannot swim to catch prey so is found only on land based areas.